For my fellow foodies, I am so sorry to have to inform you that my Dinner & A mixtape event at Playhouse this Sunday July 30th has had to be postponed due to circumstances out of my control. All of you who purchased tickets have been refunded in Full. I will be reaching out to personally to apologize for this unforeseen occurrence, and hope that you keep your appetites ready for when we are able to reschedule this properly! Yes yes, @dinnerandamixtape is coming to BACK TO LA. This time we head to WEST HOLLYWOOD, JULY 30th Sunday, and yes… I have some new new I’ll be debuting. 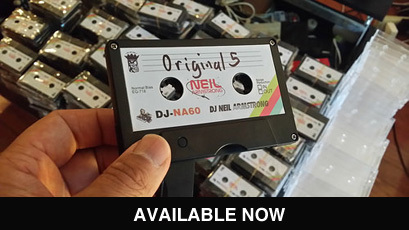 The evening will be a garden party at Mardi Restaurant in the Palihouse West Hollywood hotel featuring a family style dinner service and exclusive first listen to Neil Armstrong’s new mixtape. Afterwards, join DJ Neil Armstrong in the Palihouse Lobby Lounge for drinks and dancing until midnight.